A monthly series curated by RDL+, Bay Area Bridges celebrates the Bay Area music scene with Oakland as its launch pad. 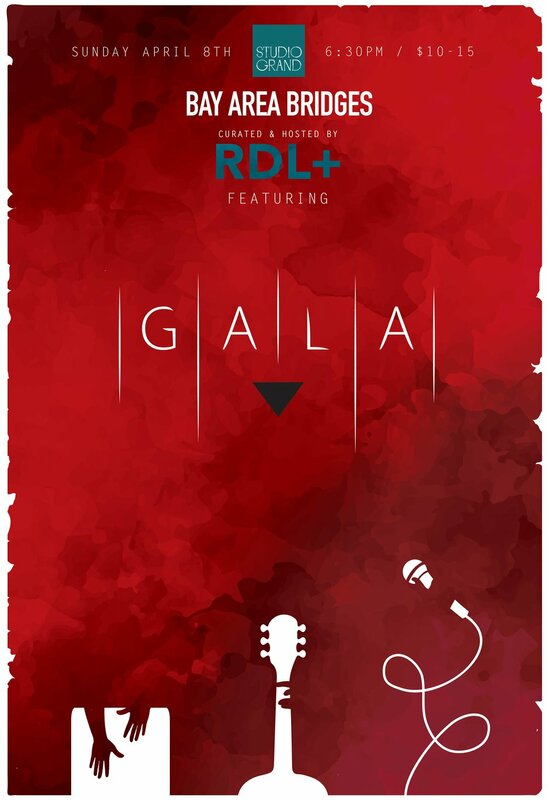 This month, RDL+ teams up with Gala (Claire Calderón, Gemma Datuin, and Luna Fuentes Vaccaro) to create inspired original and re-thought music. The two like-minded trios delve into their influences, exploring South American song, folk music, groove, and improvisation - developing and sharing new music with their Bay Area audience. 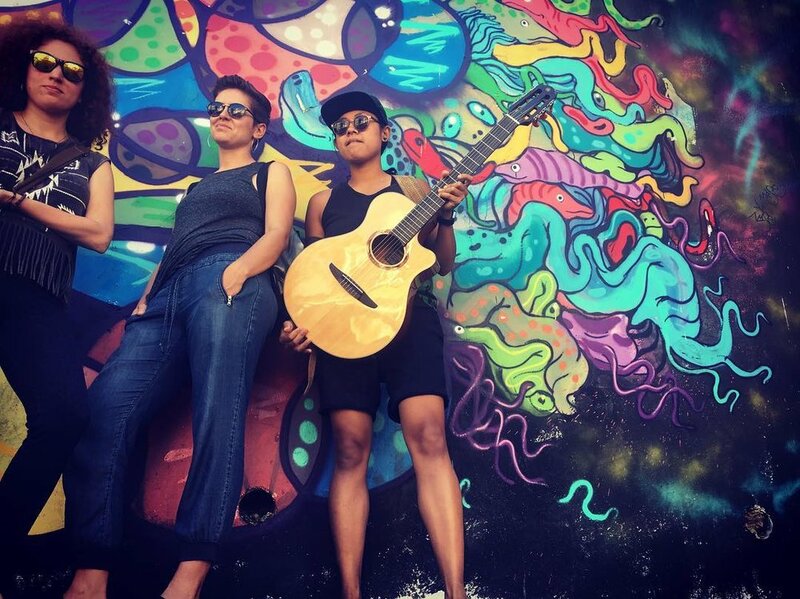 Gala (GAH-LAH) is an acoustic indie folk-pop trio based in Oakland, CA. The group plays a mix of lively covers and original music with thoughtful lyrics and soulful harmonies. Their music deals with themes of migration, justice, heartache, and resilience. Gala’s sound is magnetic, transportive, and tender, often inspired by a long tradition of Chilean and South American folkloric music. Gala takes its name from a beloved furry friend who takes her name from Salvador Dalí’s muse. Claire Calderón (lead vocals, songwriting) was born in NY with roots in Chile and Lebanon. She has a choral and acapella background and has toured internationally with vocal ensembles. Luna Fuentes Vaccaro (percussion, guitar, backup vocals) was raised in Valparaíso, Chile, where she studied guitar and drums, while also playing in the city’s Samba School. Gemma Datuin (percussion, guitar, bass, backup vocals) was born and raised in Guam with roots in the Philippines. She learned to play cajon on the beach, while jamming with friends. With their 2014 debut album, Más P’alla Va, RDL+ is building an original sound that embodies the members’ collective ideas, inspirations, and histories. RDL+ is Ruthie Dineen on keys, Doug Lee on bass, Luis Salcedo on guitar, plus(+) the Bay Area's best up-and-coming musicians. The group focuses on writing and playing original compositions, while taking both lyrical and open improvisations on the pieces. While maintaining an aesthetic stemming from traditional jazz, the group experiments with odd meters, timbre, form, and melodic ideas. Nonetheless, the exploratory nature of the group is always rooted in the essence of the composed or arranged pieces.